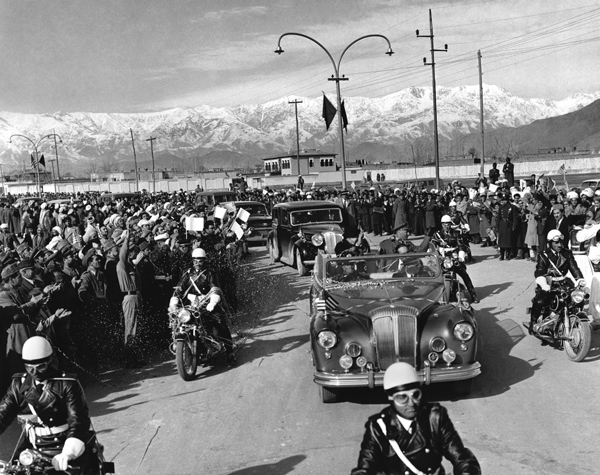 In Small Things Remembered » The motorcade of President Eisenhower and King Zahir Shah en route to Chilsitoon Palace. King Zahir Shah en route to Chilsitoon Palace. Courtesy of the National Archives Still Picture Unit. 306-HL-PH-EISE-60-3630.